A fine Mahogany side table atb. to Gillows. 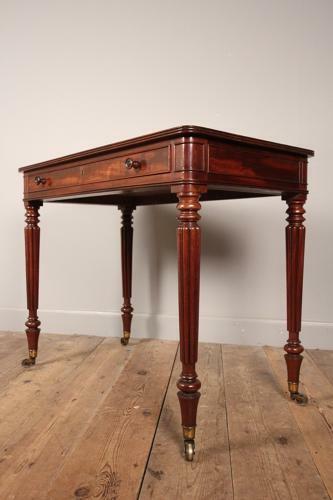 This superb table in wonderful original condition throughout. Having a reeded edge mould to the top, raised on elegant slender reeded legs, retaining the original brass lacquered castors. The single Mahogany lined drawer retaining the original turned knob handles, lock and key. Superb colour, patina and condition throughout. English, Circa 1820.